Freddy decided to surprise me for my Birthday last week and after days of teasing me about going up in a wind tunnel (my worst fear!) 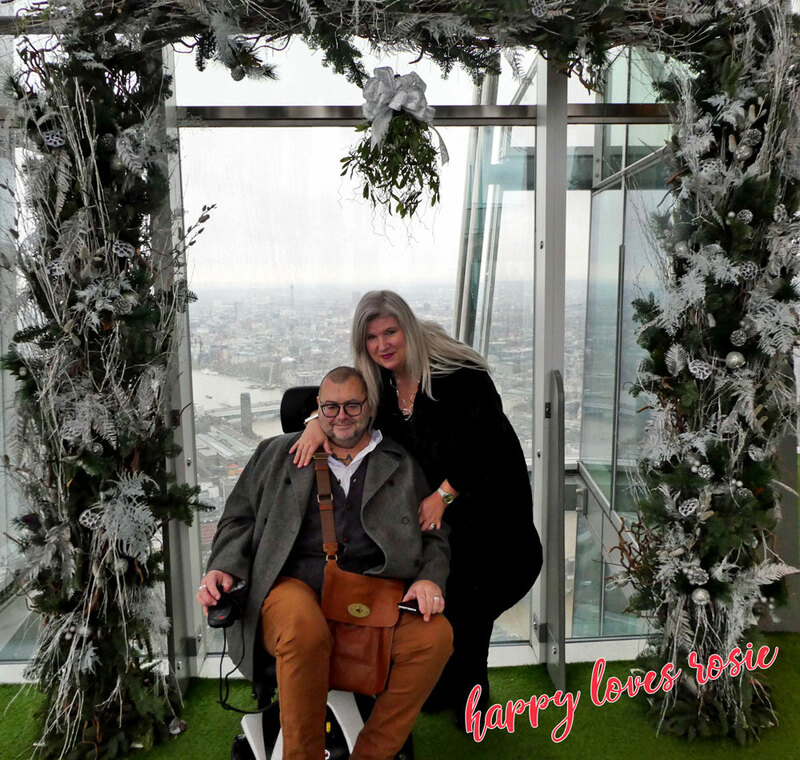 he announced (on my actual Birthday December 2nd) that he was taking me to The Shard for Afternoon Tea! As you can imagine I was so excited and went off shopping with Rosie to get me an outfit to wear!…and I bagged this lil dress from New Look UK in the Sale for half price! 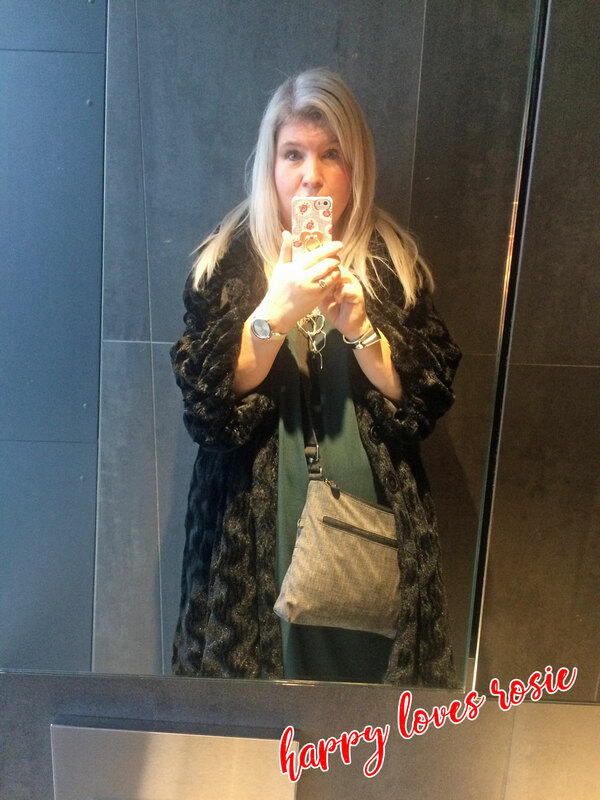 but as I am an old gal now!…I teamed it with some black leggings and black suede boots…and boy did I feel good! Rosie took a picture of us both before we left! Don’t we scrub up well! Have you noticed that I have changed my hair colour to blonde! well that’s what everyone is calling it, but actually it is Grey…its the colour of my roots…ok so I touch it up a little here and there with toner to cut the brassiness out, but it is no way near as damaging as the red…I loved the red hair but I had that for about 7 years and I was getting fed up with it! So I thought it was a good idea to have a change! 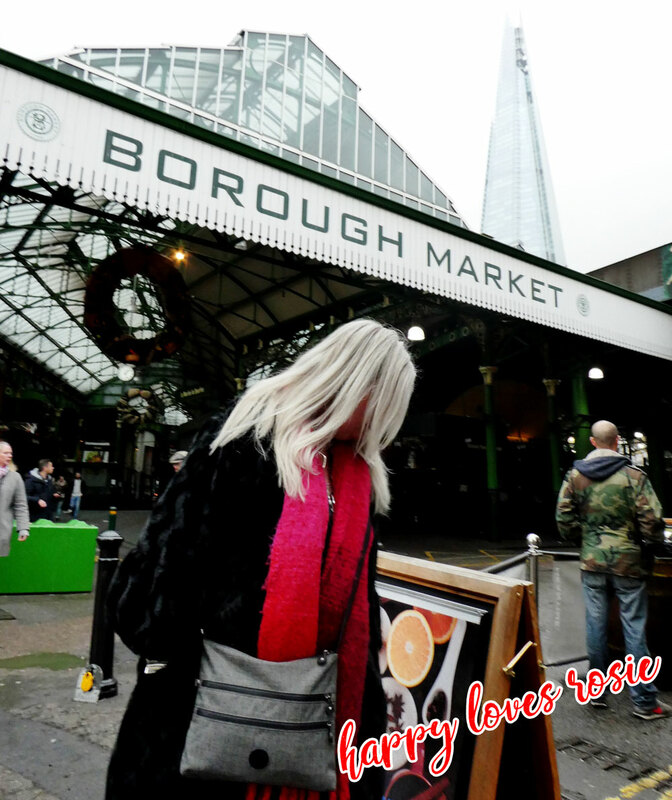 So we arrived at Borough Market after about an hours drive…Fred had pre-booked the car park and with the help of my iphone for directions (blooming sat nav was downloading the maps forever! so I switched it off!) 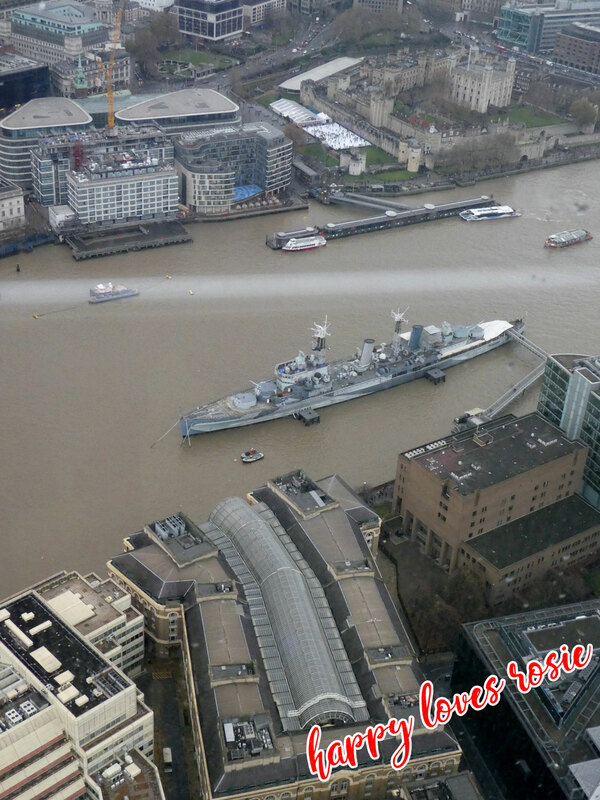 we arrived there without any hitches! 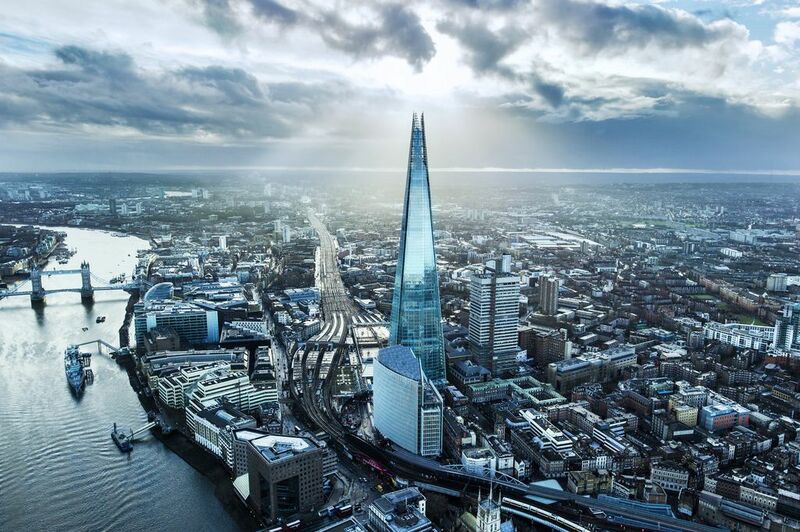 we had a short walk down the road before we found the entrance to the Shard…it was quite easy really…you just had to look up and you could see the building glistening in the sky! 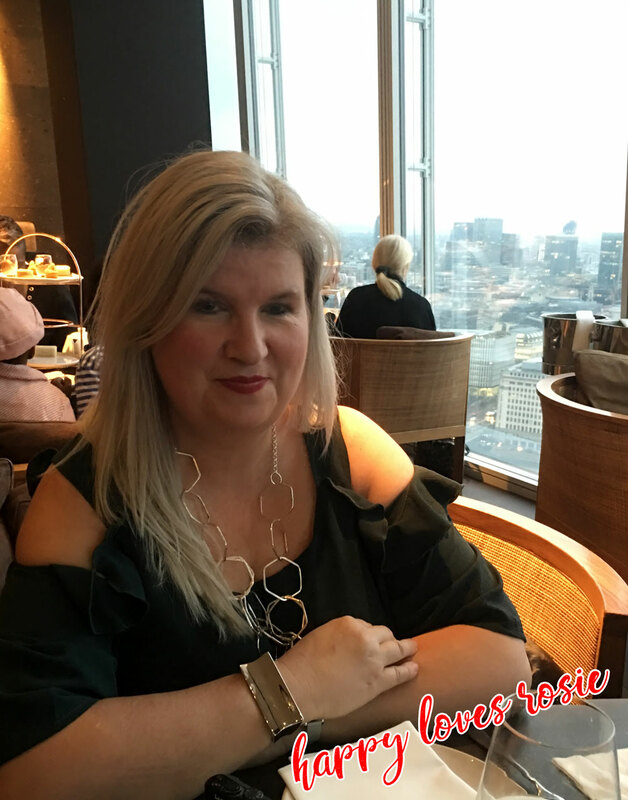 Our Afternoon Tea was booked for 3.30pm in the Oblix Restaurant, but we wanted to go up to the 69th and 72nd floor first as they are the viewing platforms and we couldn’t miss out on that! 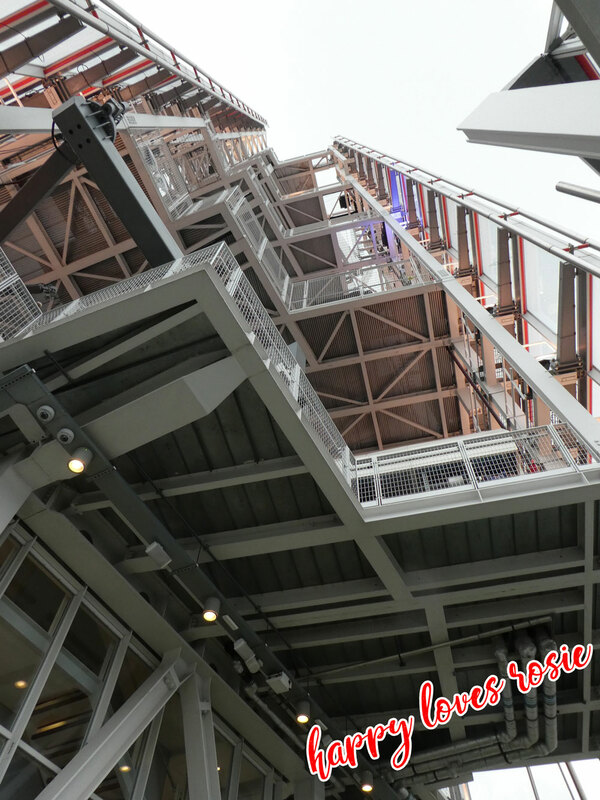 The lift sped up the building so fast, you really couldn’t tell that you were so high up in the sky! Ok so our ears kept popping, but the whole experience was very enjoyable and smooth! 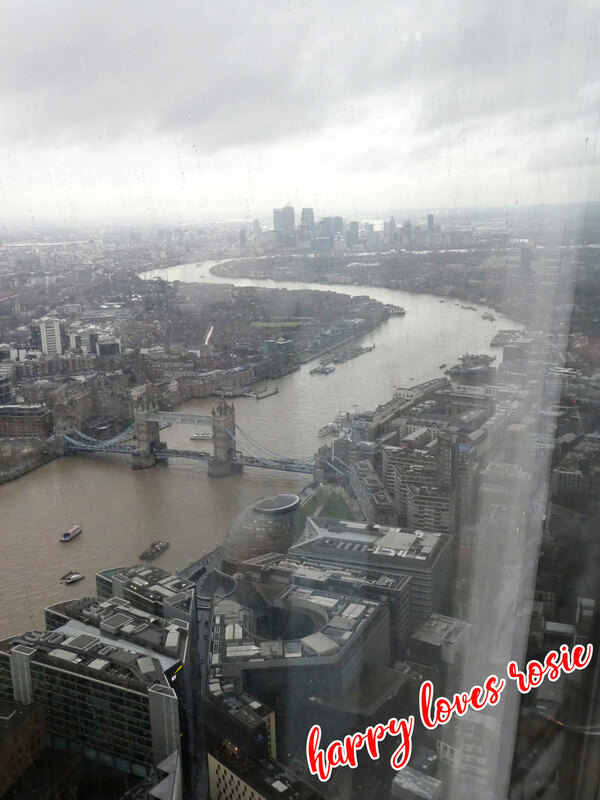 …and when we got to the top ,the views were amazing! we spent about an hour up there switching between the different viewing levels and the gift shop…Oh dear! I can’t ever resist a gift shop! lol! 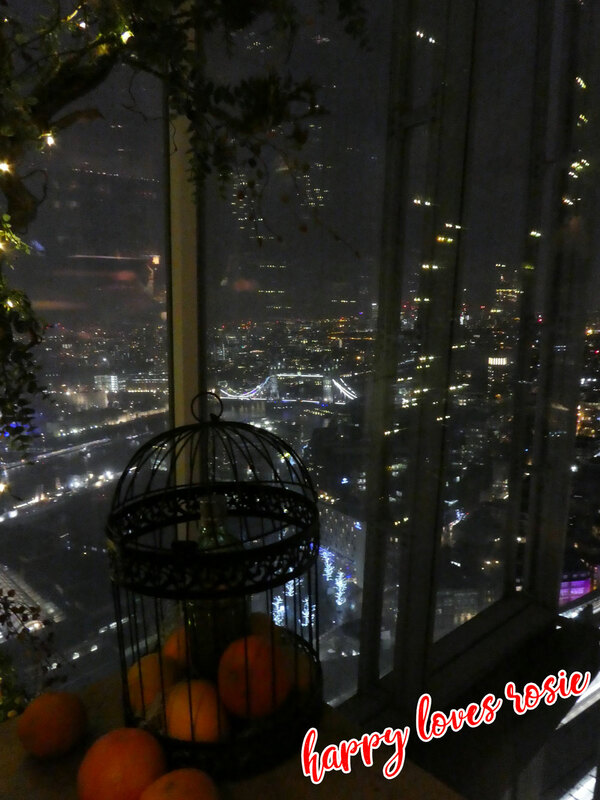 This is the view from Level 72, which is the open deck level…it was breathtaking! Freddy in the Gift Shop…getting in the Christmas mood! More Gift shop goodies…There were lots of lovely things in there to buy including all of Cath Kidston London Range…It was all very tempting indeedy! 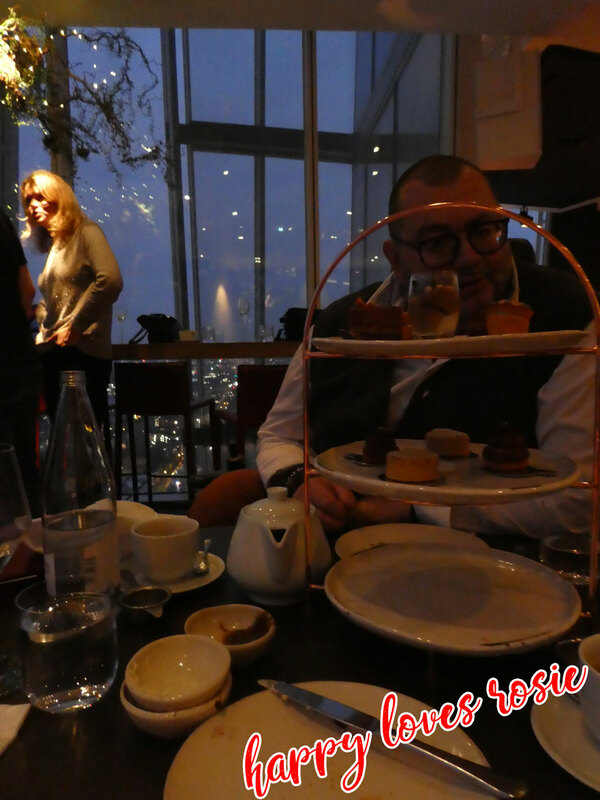 We then made our way out of the Shard and around the corner to the Restaurant Entrance, it is still a part of the Shard, it’s just that the restaurants and Hotel have different entrances…It was just the right time to have our afternoon tea as it was still light, but was soon to get dark…so we had the best of both viewing experiences! 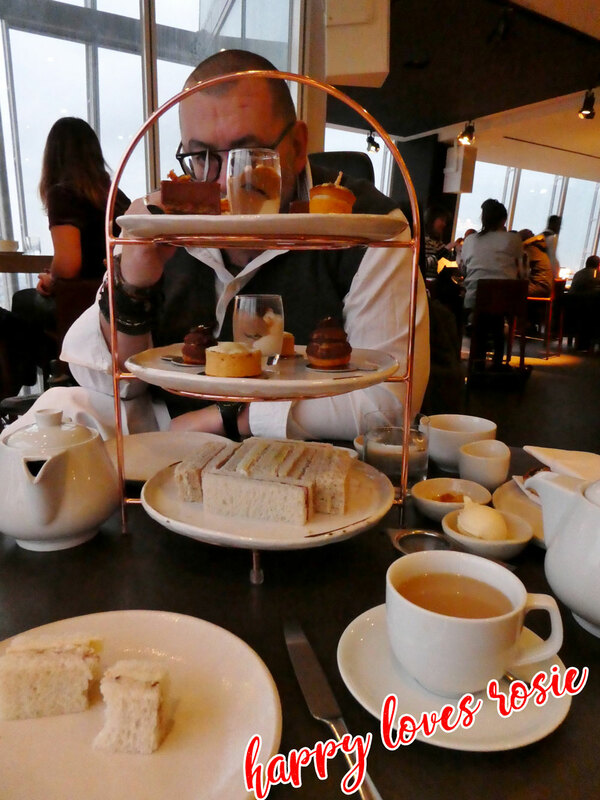 The Serving Staff were lovely and we enjoyed the sandwiches, scones and cakes whilst taking in the view on the 32nd floor…we had a lovely time and laughed and joked and talked and talked. It was such a special day and so lovely being out with my Hubby…we held hands and ate our cakes the same time as each other and before long it was time to go home…I felt a little lightheaded as Freddy had bought me a glass of wine and I am not that good drinking in the day, as I always want to fall asleep straight after! lol! 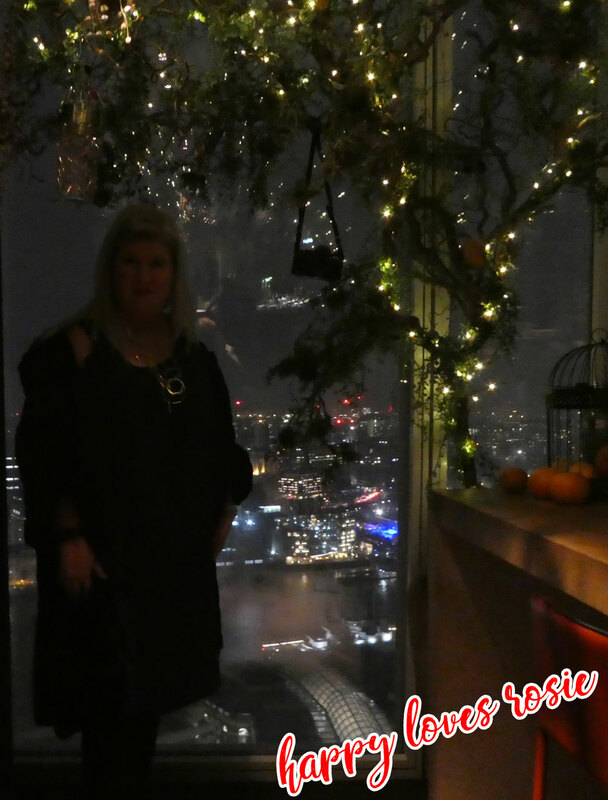 I stood by the windows and we took a few pictures and then took the long descent down to te ground floor and left for home…needless to say I slept most of the way! hahaha! 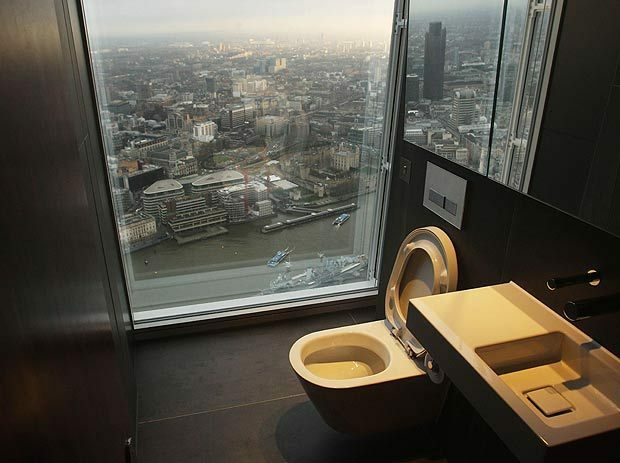 PS…If you decide to visit The Shard…you must visit the toilets on the 69th floor…there is a total surprise waiting for you once you enter the cubicle…needless to say! I didn’t realise there was a blind switch on the wall until I had already started to pee! EeK!…OooOoh I am so common lol! PPS…Sorry that the seat is up in this piccy I couldn’t find one that didn’t have the seat down lol! probably due to the surprise factor! Hence my face above! So it’s Freddies Birthday next September…any ideas on how I can top this, for him? Next Post A Garden Room Please Santa! 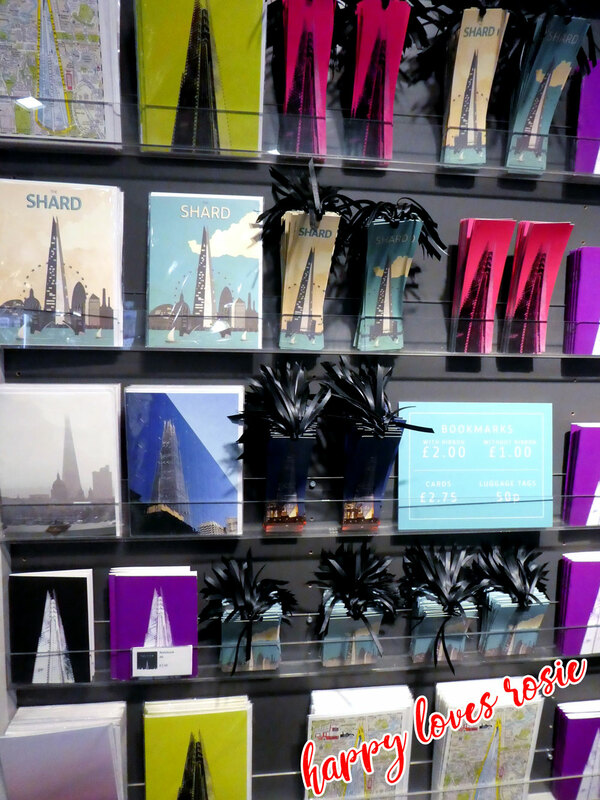 I had not heard of The Shard before this. Wow! What a wonderful amazing day! Oh, just want to say your hair is beautiful,love the color, and the length, I never did see photos of you before today,(you had red hair? 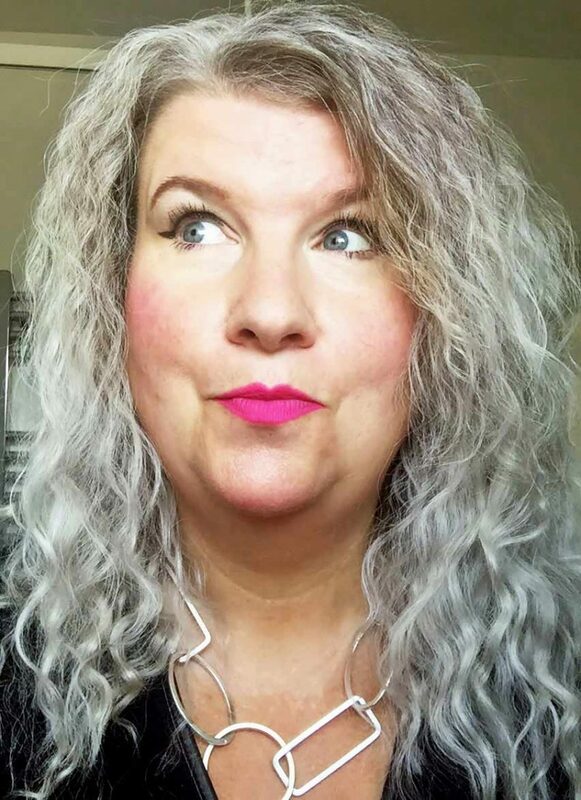 ), but this color is natural and awesome!!!!!!!!!!!!!! 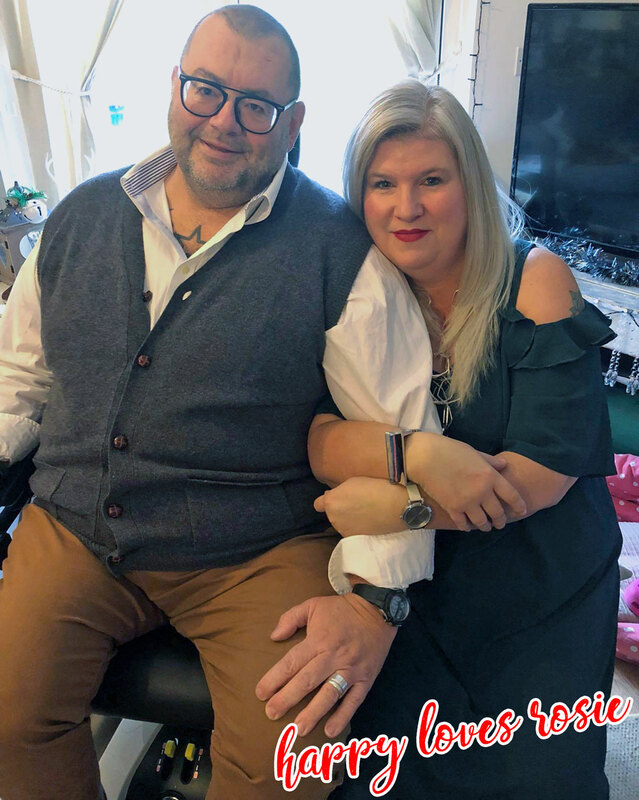 Lovely couple.. Your hair looks so pretty! I love it!What a fun tea! The cake looks so delish.Lovely photos! This was amazing and I felt as if I was right there with you! !